They conserve energy by reducing solar glare in the summer and pulling in natural light all year long. This means your air conditioner and lighting systems don't have to work as hard. You can program the shades to move throughout the day when you're away at work. This gives your home a lived-in appearance and deters thieves. The lack of pull strings makes for a clean, modern look by eliminating clutter. You can select from a wide range of fabrics and styles to customize your new window shades. Motorized shades can be made for any size and style of window. These shades operate quietly in spite of having a motor. You can even select multiple stopping points on the remote control and the shade will stop there automatically. Your motorized shades can receive power through your air conditioning system or a set of batteries. This product isn't strictly for windows. You can place it over a television screen, a computer, or anything else that you want to keep covered while not in use. Children and pets are safer when windows in the home don't have cords. They can easily get tangled up in them and seriously injure themselves. The same could happen to you. 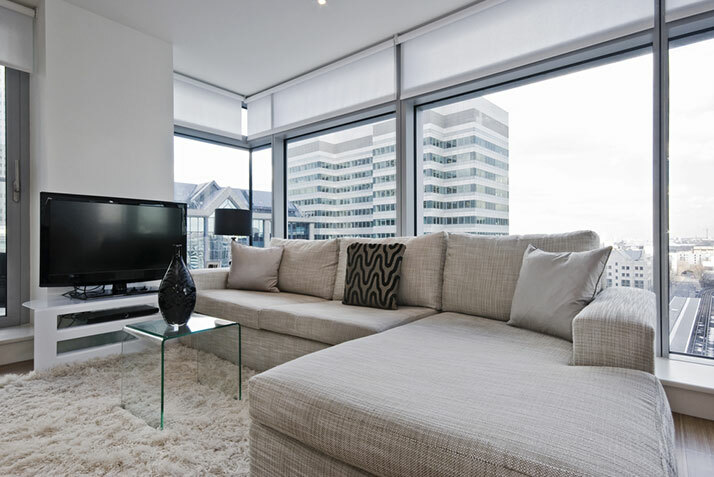 You can combine several different window treatments and use one piece of motorized hardware to control the entire unit. These are just some of the many benefits of motorized window shades. Once you install them, you will wonder how you lived with manual window coverings for so long.